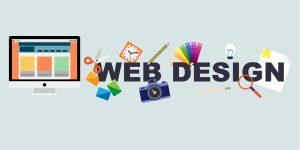 There are a lot of things that need to be done right when it comes to web design. At the same time, there are a lot of mistakes that need to be avoided. Web designers often find that they have some extra space to work with. A mistake that they will often make is to fill this space unnecessarily. There is nothing wrong with having a clean looking site with some white space to make it easier on the eyes. When the white space is used effectively, it can scale up the look of the site. There are some designers that get hung up on making sure that everything is symmetrical and centred. While this does help to make it easy to follow the information it can also make it boring. To create some texture and interest, it doesn’t hurt to stagger the columns. A certain width can be designated for the text columns and another width for the image columns. A big mistake can often be through doing right justification with the text. What can happen is that users utilising small screens may see that the beginning of the text is cut off. A lot of work goes into the web design. When it comes to the layout, often the small details get overlooked. These can be details in regards to the size of the fonts or the style of the documents. It is important that the small details be attended to before one considers the site as complete. Ultimately for the web designer the final word comes from the client they are working for. However, most clients will take the advice of their web designer. It is a good idea to caution clients about using too much multimedia.